Mon. Aug. 6th & Tuesday Aug. 7th. 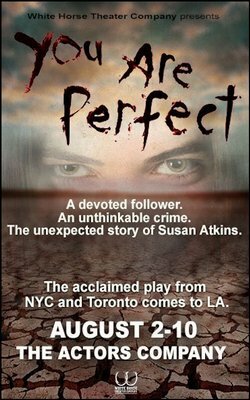 Set in Susan Atkins' prison cell on the eve before a key moment in the Manson murder trial, You Are Perfect is a theatrical re-imagining of the Manson Family member's life and inner demons, hurtling through time and space while questioning allegations of murder and deceit.